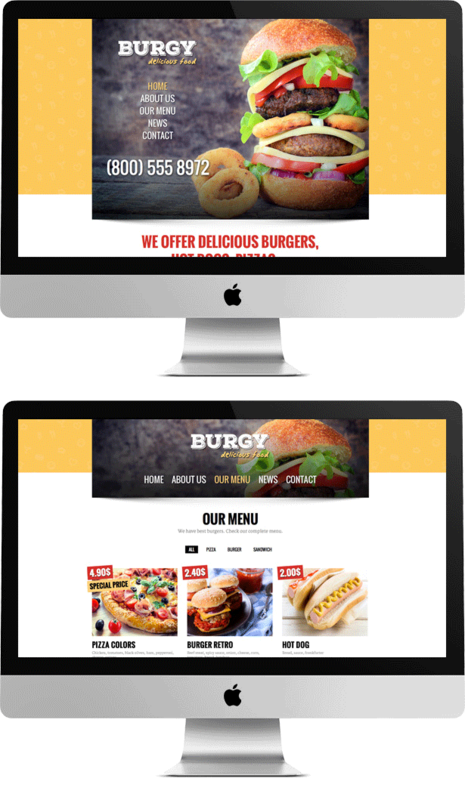 Burgy is WordPress theme for fast food company or individuals. Present your delicious food(burgers, fries, pizzas, meals, hot dogs, ..) in easy way so that visitors see your amazing food. Point out you action prices and you best sellers. Theme is SEO friendly and optimised(images,script files, ..), which is good for browsers and theme speed. It is also responsive so it suits to all devices (mobile, tablets,...). With Burgy you get an outstanding WordPress theme, with really amazing documentation.